No matter where you are in the world or what culture you were brought up in, there is one constant when celebrating a birthday: birthday cake. While cake, in general, can be enjoyed on any other day (I mean, it is everywhere), there is something special about having it on a birthday. For those of you who want to make someone’s birthday extra special but don’t necessarily have the budget for a slice, let alone a whole eight-incher, here are a few Birthday Clip Arts instead! We offer a wide variety of designs and formats—Vector EPS, JPG, PNG. Get ’em while they’re still piping-hot from the oven! 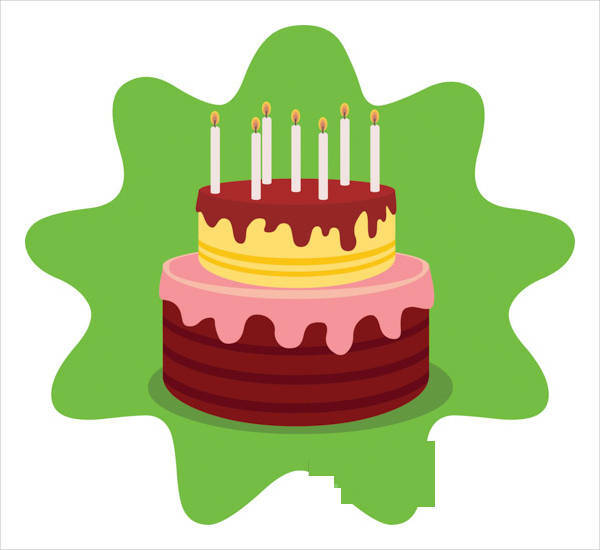 “Free Birthday Cake Clip Art” features a two-tier cake and a green splotch in the background. I know, I know. “Green splotch” doesn’t sound too appealing. But can you just picture this on the cover of a birthday card? 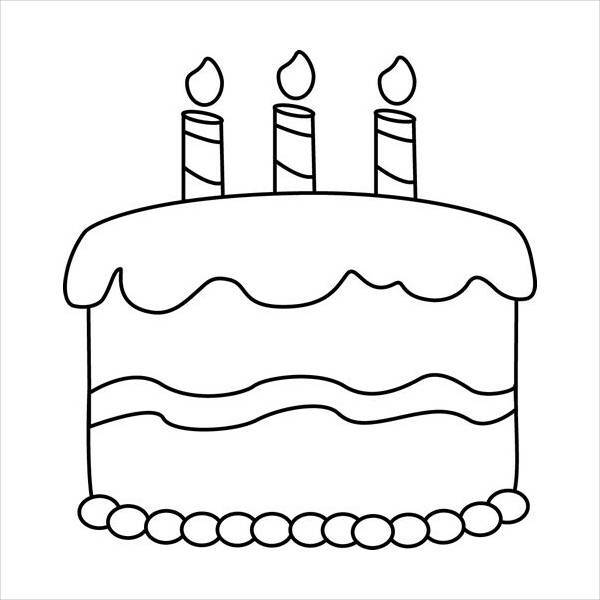 “Birthday Cake Outline Clip Art” is just like the previous one but sans the color and the second tier. 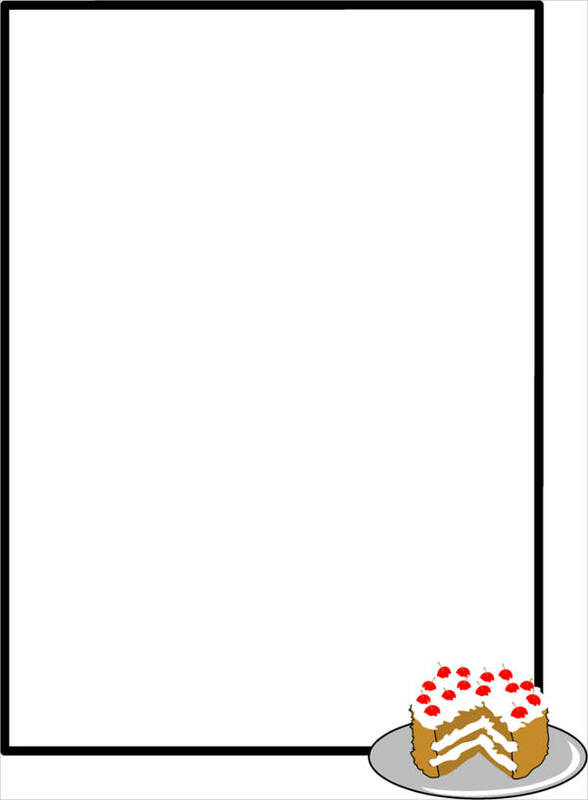 Add in the color, and you got the personal touch covered! 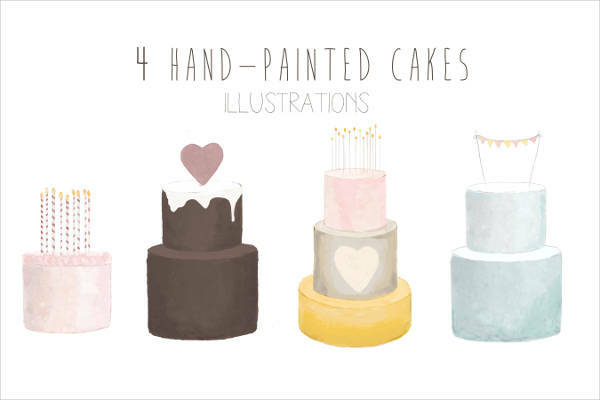 The design of “Hand Painted Birthday Cake Clip Art” features the softness from the use of pastels and the skipping of the harsh lines. Just how cakes ought to be. You know how sometimes cartoon food looks far too unreal yet you find them delicious anyway? That’s the same case with “Animated Birthday Cake Clip Art.” I mean, look at it! 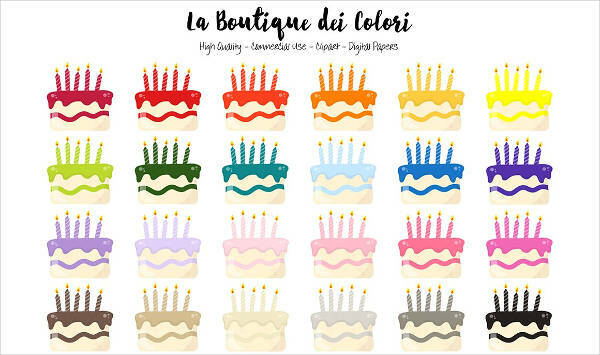 As its label “Colorful Birthday Cake Clip Arts” says, the six different varieties featured here are colorful. Each mini cake has a different theme as well. For those of you itching to write that special birthday message for that special friend, “Birthday Cake Border Clip Art” makes for a nice DIY birthday stationery (if that isn’t a thing, let’s make it one). 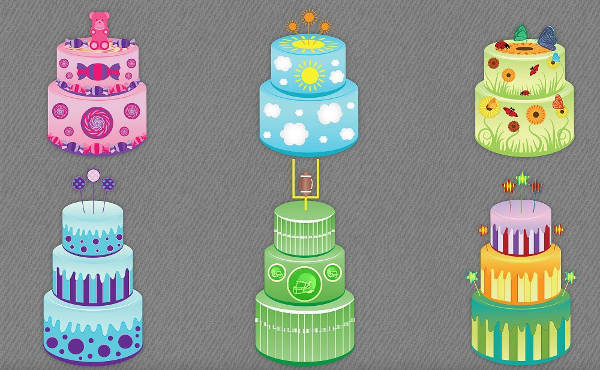 “Birthday Cake Graphics Clip Art” shows us that we can have the rainbow on our birthday cake. Perhaps the only one to stray from the ganache theme, “Floral Birthday Cake Clip Arts” tells us that flowers don’t just belong in a vase or a garden. Like the second one, “Black and White Birthday Cake Clip Art” is big on the personal touch. Pro tip: you can also print this out as a coloring page for your kids . . . or yourself. No judgment! So pick out your cake, lightly dust some good thoughts, and you’re all set!